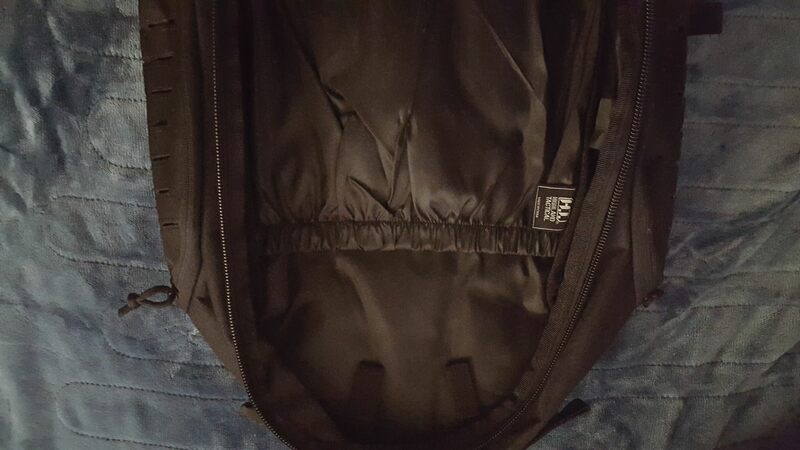 I've looked at just about every tactical pack on the market online, had it narrowed down to an Aione 38L and LAPG Atlas 12 35L. 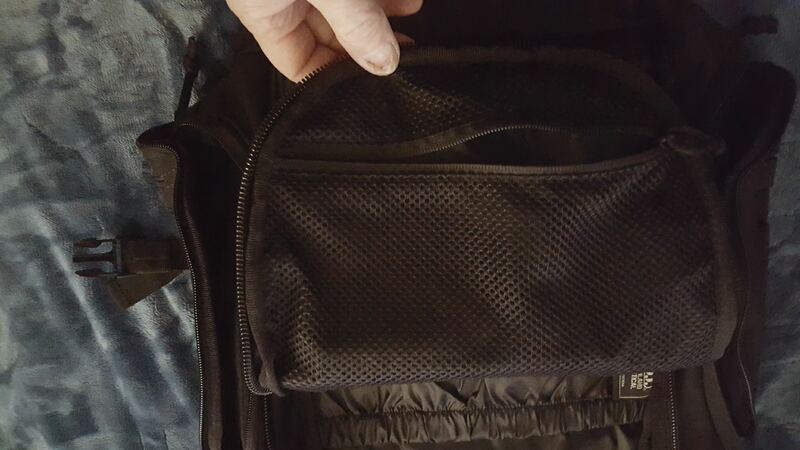 It's hard to tell online how big a bag is, different designs make one bag look much different in size then another, so I went to the local sporting goods store to get a better idea. The Aione and the LAPG 12 would have been to small. 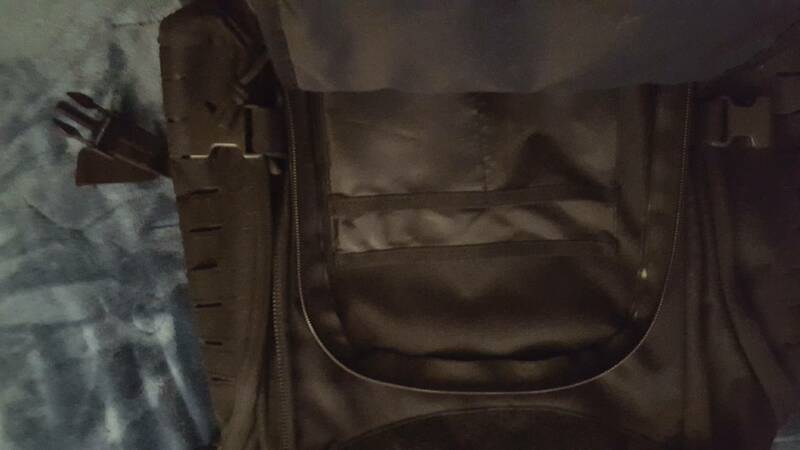 They had the Highland Tactical Roger pack 49L (one I had also been looking at but thought was to big) on sale for 50% off, it met most of my criteria, and at $33 out the door it ended up following me home. Clam shell design, 3 ext. 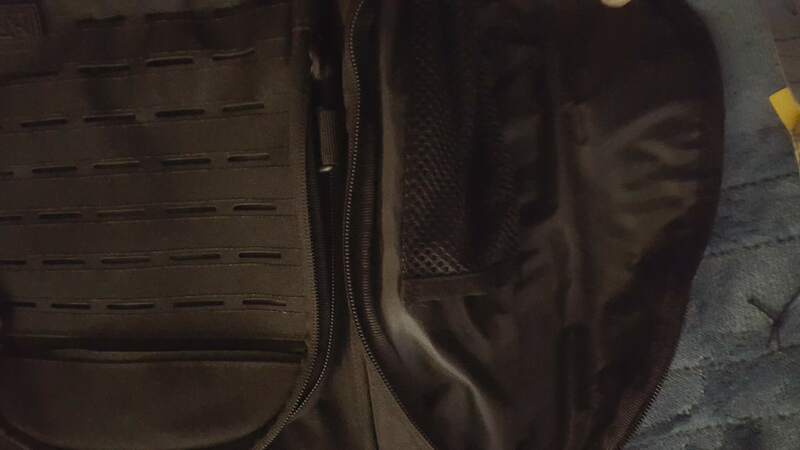 front pockets, 2 ext side pockets, dual hydration ports under the carry handle, laser cut Molle front and sides, strap retaining bands, adjustable sternum strap, 4 cinch straps, shielded zippers, 7 interior pockets, 2 hydration bladder straps, feels like 900D fabric, 40D? 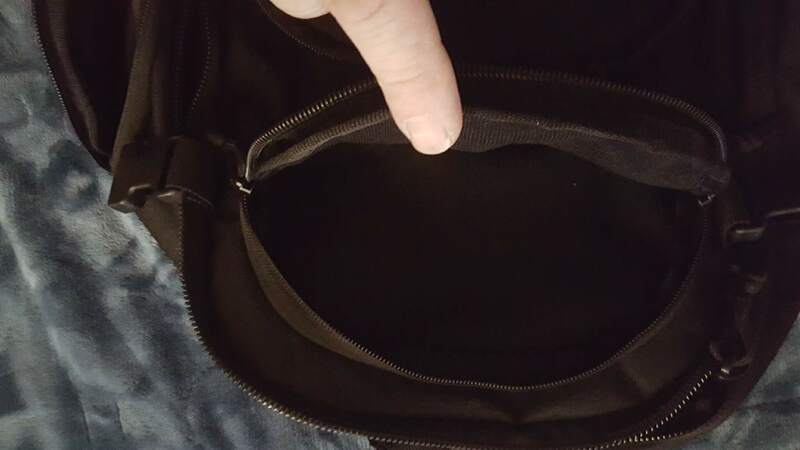 lining, solid stitching, no loose threads dangling. 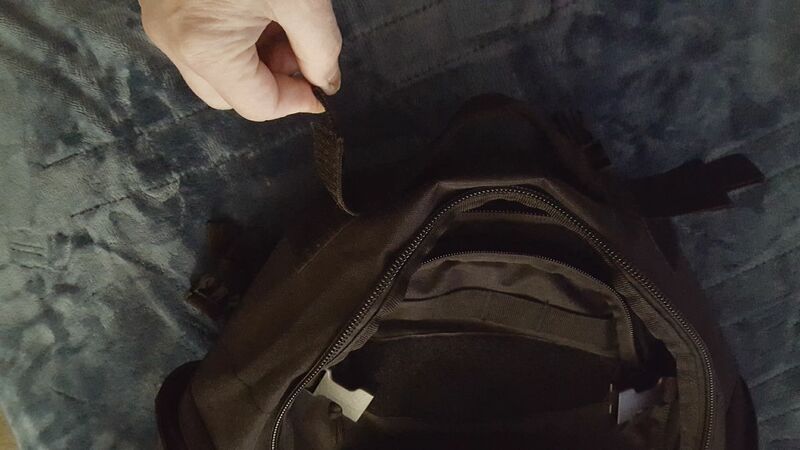 No waist belt, but it'll take me 10 minutes to remedy, no bottom strap or attachments points, another 10 mins to remedy, no weep holes, another easy fix. Granted this is not the cream of the crop but feels like it'll hold up well in a semi long term situation, but hopefully it'll sit in the closet loaded until the day I die. For some reason the site insists on inverting my pictures, please stand on your head or invert your monitor for optimal viewing, thank you. 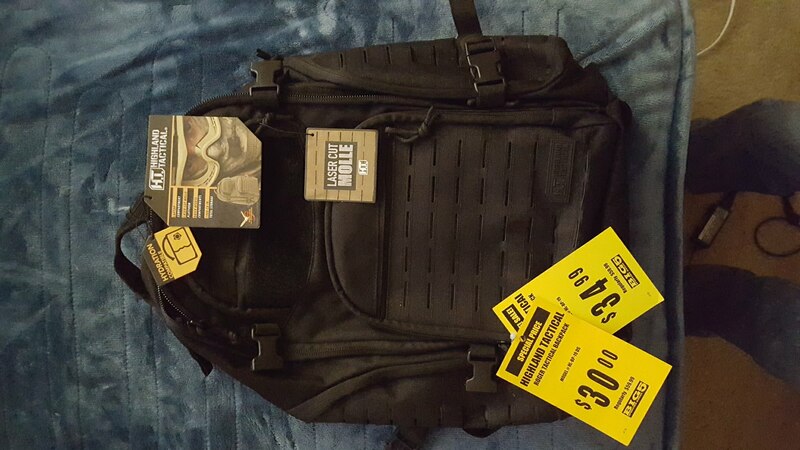 Shopped Aliexpress for Black November sales for some Molle pouches, a 3L and 5L collapsible water jugs to build a gravity filtration system and a few other things and scored some serious discounts over any sales I saw in the US. Granted I'll have to wait 2-6 weeks but it's hard to beat 70-90% discounts on the exact same no name brand items as sold in the US. 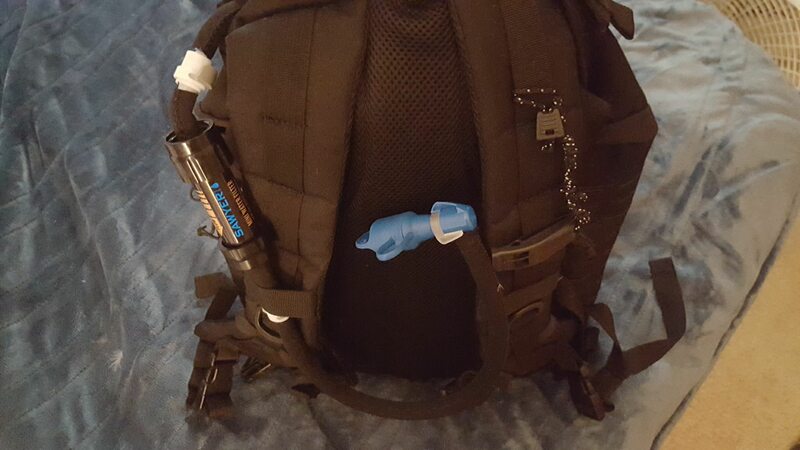 The Platypus is a nice bladder, it has a baffle so it won't be a balloon in my pack, also has the slide lock wide mouth fill, quick disconnect and bite valve. This popped up in a flash sale for a few bucks so I grabbed it. Yes it's small, the heads about the size of my hand, the handle is about the length of my forearm. It's pretty solid, I can barely get any flex out of the head using my bare hands, it should work fine for trenching around a tent, digging a small latrine, tending a fire, might even work as a backup chopping tool with it's sharpened edge, also has some saw teeth on the other side, they might be good fro scaling a fish. 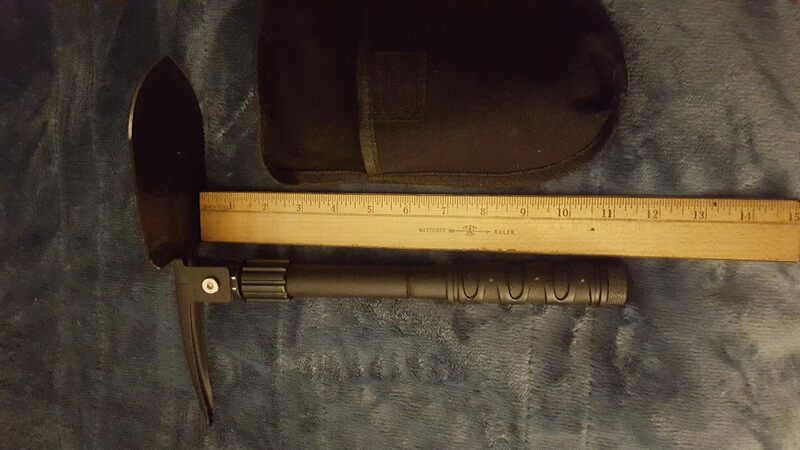 Doesn't have all the gimmicky crap in the handle, it's just a mini entrenching tool. This is the Youngdo brand off Amazon if anyone's interested, although it's probably the same as most the rest of these Chinese shovels. Some of my Black November deals are starting to roll in. 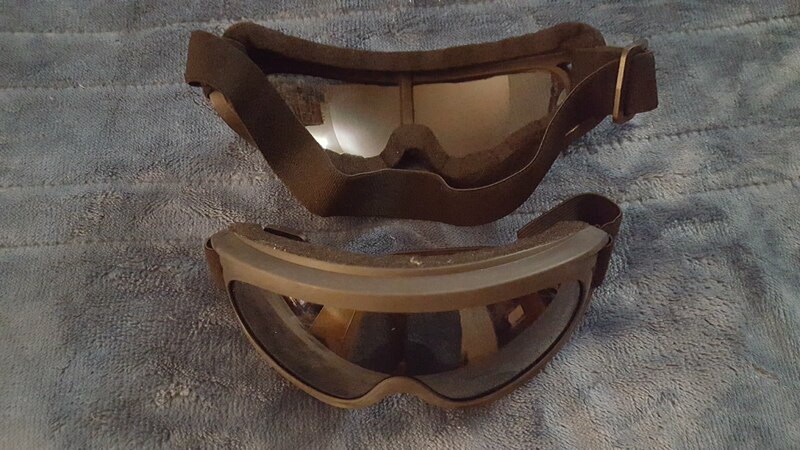 I ran across Sawyer mini's on Ebay for $10, seemed to good to be true but I gave it a shot and I got it. Just went to get a couple more and the seller is no longer on Ebay. 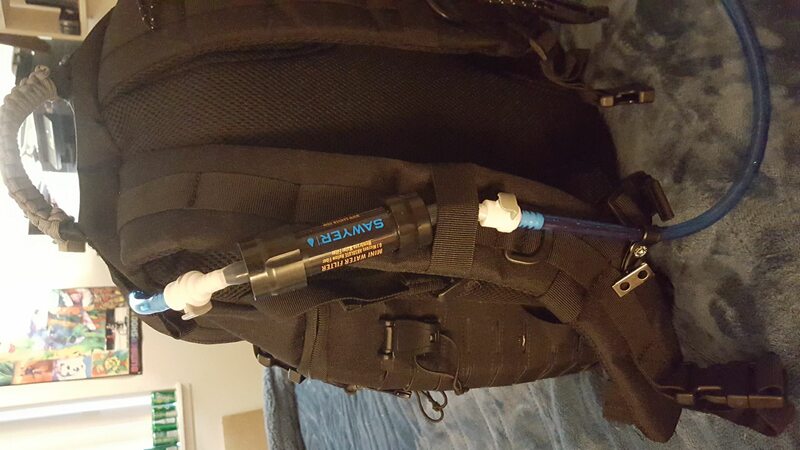 Picked up a couple Sawyer fast fill adapter kits and got my inline filter set up. Filter can only be hooked up the right way and this will also facilitate the gravity filtration system I'm putting together so I can fill my Platypus thru the drinking tube. 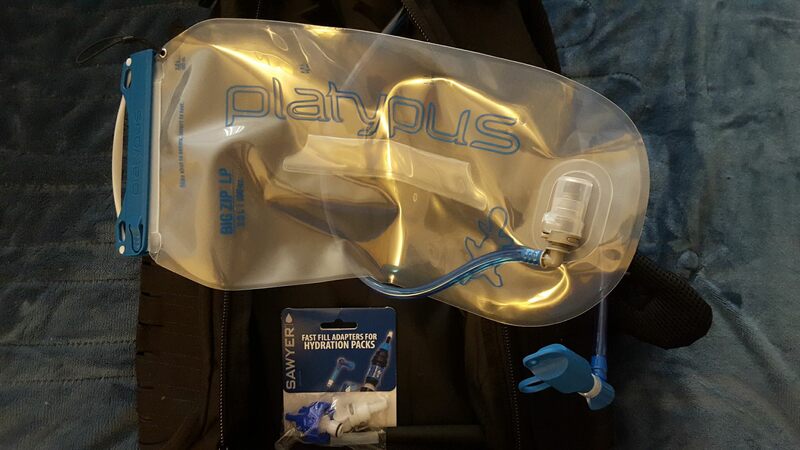 What does the Platypus 3L Big Zip bladder look like filled? The bladder had a slight chem taste, but not to bad. 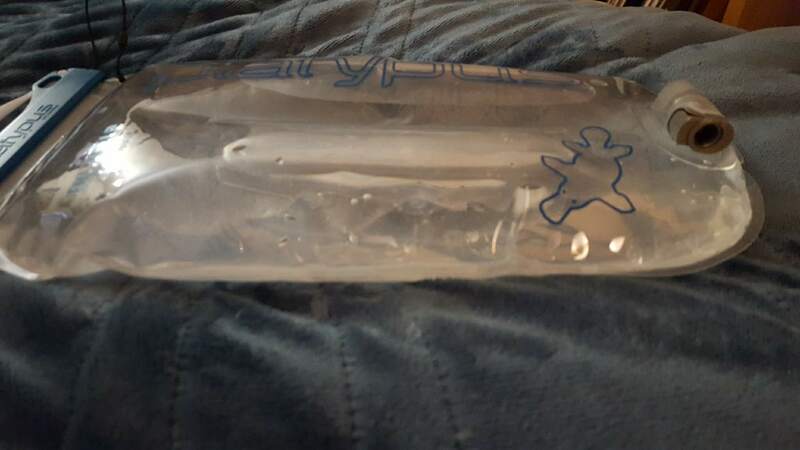 I filled it with hot tap water, hung it and let it drain 3 times and I don't notice a bad taste anymore. Not sure I'm big about the bite mouth piece, kind of a pain, I may change out to regular mouthpiece. Stay tuned, my killer deals off Aliexpress are starting to make land fall down in San Francisco. Exactly how far you bugging out to...land nearby or just "Wherever" looking at your final result and what you have packed will be interesting! One or two of us old farts may learn something....Or share a good idea! Where I live bugging out would be a major undertaking and possibly un doable or survivable and is not plan A, at least not for the initial exodus, plan A consists more of baraked's and firearms, we don't have a BOL. I'm looking at a 20 mile trek, which google maps says is nearly 7 hours, thru mostly urban areas and a narrow corridor with Mrs Boss in tow, we're both Boomers, also known as not so young and spry anymore. Plan B is to head to my wifes best friends place out on the edge of the sticks, plan C is heading into the woods, but really I'm prepping more for the 10.0 earthquake. But all in all, not being prepped to bug out wouldn't be smart for a prepper, even a Jr. prepper like me, at least that's how I see it. I recently finished my GHB, I've got a thread on that. 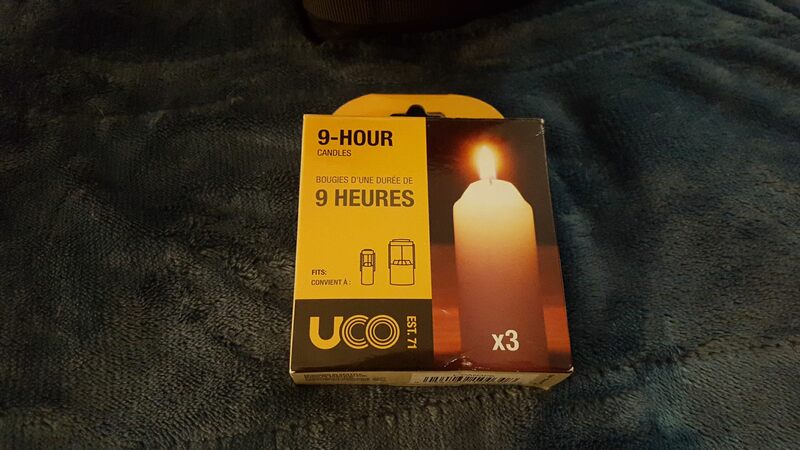 It's designed to get me thru 1-3 night in winter as well as redundant backup to the BOB. Once I get home Mrs Boss will carry to GHB. SGT E and 2guns like this. Goggles for Mrs boss and I.
I see you plumbed a sawyer mini into the mouthpiece line. Clever... you can fill the bladder with unfiltered water and filter while sipping. Is this correct? Sorry... I should’ve read your thread from the beginning! Last edited by MikeTango; 12-08-2018 at 05:31 PM. Reason: Jumped right in and didn’t read the thread from the beginning. No worries Mike. But yes, and it's more of a back up system seeing I'm putting together the gravity filter system, but that doesn't work so well if your on the move so I might have to scoop up some water from a questionable source in a hurry. We have the sawyer gravity filter but no mini’s. 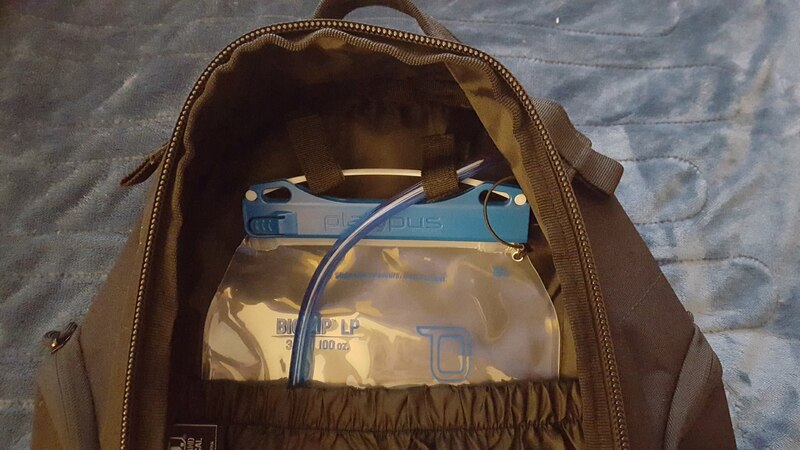 Also using platypus big zips (2L models) in our GHB’s. I like your mini setup, it’s a good idea.